Lovers of the sun and the blue sea, football fans, or culture vultures... The Dream Team at the Mercure Marseille Centre Prado Vélodrome looks forward to helping you enjoy an unforgettable stay in the Phocean City. Grab your bags and we'll see you soon! 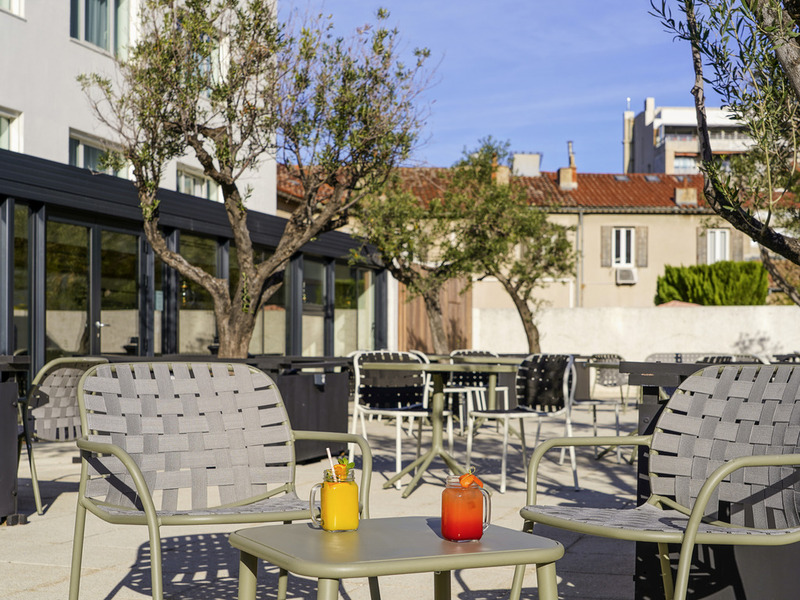 Located 400 meters from the Velodrome stadium and Chanot park and within 1.5 km of sandy beaches, Mercure Marseille Centre Prado will tempt you to relax in the Marseille sun. Explore Notre Dame de la Garde, the inlets or "calanques", the Old Port. Air-conditioned bar with a furnished terrace and indoor garden.